Stunning illustrations and punchy writing make this book a delight on every page! The authors, both graphic designers specializing in letterpress craft, highlight 27 disparate women who, in their own spheres, changed the world for the better. 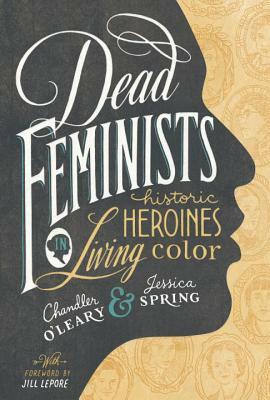 Based on the acclaimed Dead Feminist poster series, the authors explain how they chose their subjects and created each intricate design. You’ll learn surprising new information about well-known women and discover new heroines to admire as well. History truly comes alive in this book to treasure and revisit.